When you’re running your business, you’re focused on your customers, your level of service, and your profit margin. Meeting government-mandated IT regulations may be the furthest thing from your mind. But ignoring these regulations can be a costly mistake. According to IBM, the average cost of a data breach is $3.62 million. Compliance management can help your business stay ahead of issues before they become major problems. 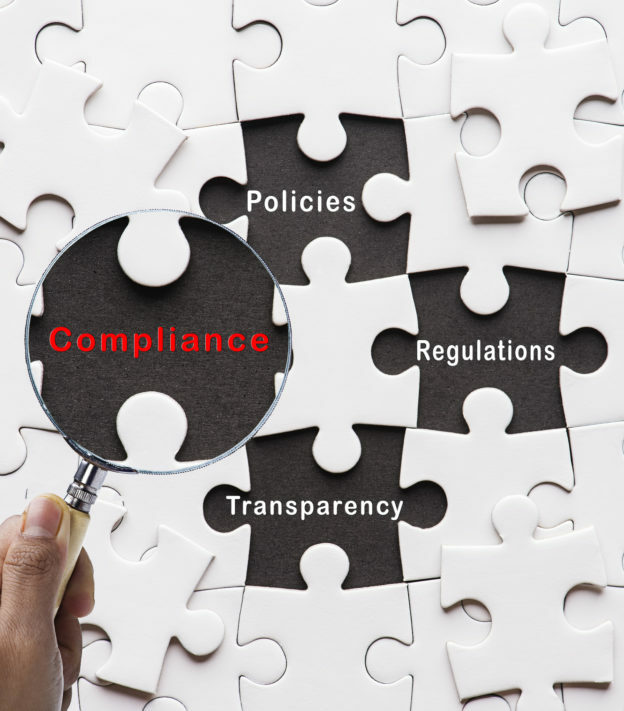 Compliance means making sure your company meets your industry’s rules, regulations, and obligations. In the IT world, compliance usually involves data security. No matter what industry your business is in, you need to take data breaches seriously. Certain industries, however, must comply with federal laws when it comes to protecting information. Anyone in the healthcare field is familiar with HIPAA. This law requires doctors, nurses, and other medical staff to protect their patients’ privacy at all times. In decades past, that meant keeping a close watch on patient charts and not divulging sensitive information with others in earshot. Now, it means securing data systems to avoid a breach. You have to anticipate any possible security threats and protect against them. You also have to look out for inappropriate disclosures and work with your staff to make sure they follow all rules and regulations. Your system must have safeguards in place that prevent unauthorized access. You also need to conduct regular audits to check for weak points in your security and remedy them before there’s an issue. You could consider this preventive medicine. The U.S. Department of Health and Human Services (HHS) enforces HIPAA regulations. If your practice runs afoul of HHS, prepare for investigations, compliance reviews, and hefty fines. If you accept credit card information from your customers, your business needs to meet PCI security standards. Specific standards exist regarding firewalls, user passwords, anti-virus software, and more. You always have to store credit card information securely and virtually—never on paper. Even point-of-sale devices need to come from vetted, approved vendors. All parts of your businesses have to treat customer credit card information safely. If you don’t meet these strict safety standards and your data is breached, the costs can be astronomical. You’ll probably have to offer compensation to your affected customers. Their banks may turn to you to cover any fines or fees for fraudulent purchases. You could easily face a lawsuit. Depending on your company size, you may even grab the attention of the Federal Trade Commission. This organization might perform regular audits and levy fines of their own. All merchants need to ensure PCI compliance in their business. Depending on your industry, you may have to comply with a series of other federal IT regulations. A professional IT firm can offer advice on which of these standards apply to your business. Compliance will help your company avoid legal risks. Lawsuits and settlements can easily cost you millions of dollars. Fines and other compensatory payments can also add up. Even if you are able to pay these costs, you might see your sales drop dramatically. If you failed to protect customer credit card information and fraudulent purchases were made, you will probably lose customers who no longer trust your brand. Damage to your company’s reputation can take years to repair. It’s impossible to estimate just how much monetary damage it can do. It’s better to practice good data security and avoid a breach altogether. Complying with federal laws will show your customers that you care about keeping them safe. While lawsuits or fines will damage your reputation, a record of compliance will show you are running a trustworthy operation. Employees can present real challenges when it comes to compliance management. Sometimes a breach happens when an employee opens an email they should have deleted. They might be careless with passwords and other sensitive information. Mobile devices can also throw off your security plans. Your company network may be fully protected, but if your employees are entering sensitive information on their own cell phones and laptops, a breach is possible. As you work on improving your cyber security, bring your workforce in on the process. Let them know that they play a big role in your organization and its data. Take the opportunity to teach them how to secure company data and consider offering incentives to those that do. A safe and trustworthy company reputation is a great source for positive PR. The best PR plans don’t just avoid the negative news, they create positive stories for your company. If you improved your data security, let your customers know! They’ll feel better entering their credit card information if they know their bank accounts are safe. The best way to avoid any risks for your business is to complete regular audits of your organization. An IT compliance professional can take a close look at all aspects of your company’s cyber security. They can assess whether or not you’re complying with industry regulations. They will go through federal law with a fine-toothed comb to see if you are checking all the boxes. They can also make sure your system isn’t vulnerable to any online threats. If they find a weak spot, they can help you shore up your defenses before a data breach occurs. At the AME Group, we offer professional IT services for your business. We can make your business compliant. We make sure your organization meets industry regulations. We will also identify possible security threats for your system. Finally, we’ll improve your data security so your information is not at risk. Contact us today to for help.